On the 7th grade end of year trip we went to Erwin, Tennessee. 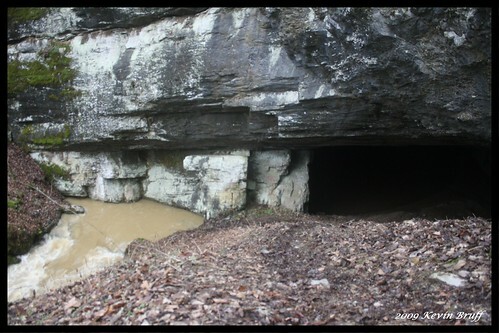 While we were there, we went to Worley's Cave. In the cave there were some challenging places. I was personally scared that I would feel claustrophobic. The tightest place we went into was a place where we had to roll it was so tight. 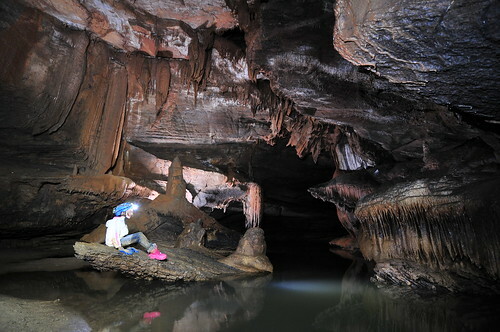 Once we got through the tightest part of the cave we were in a fairly big place. Towards the end of the cave we had to walk through water. We were walking in about mid-shin deep of water. Once we were getting to the end of the cave it was getting cold because the water was cold. There were challenging parts, but the cave was a great way for me to step out of my comfort zone. A step into the outside world. Away from reality; submerged in natures beauty. Banding together in times of struggle, love and happiness. Seeing the world in a different angle. Hiking, rafting, caving and laughing as a group. Becoming a family in no time at all. Being away from distraction and finding the class we have always wanted to be. This was my end of the year trip celebrated with my class or now my family. Winter… a season of mixed emotions, a time of rest and sleep, a time of Christmas cheer and a warm fire in your home, a time to reflect on the year before. I am going to say it out loud I am not a blog writer, I never was. I would much rather be writing an apocalyptic story about nature and a guy stuck in the middle of it. But I am not doing that on a blog. Sleep is a transition that all creatures make in winter. A time of sleep and rest for all, a beautiful thing. I picture it as a winter wonderland with a cave in the back a nest of birds in the trees and a wolf trekking across the ground. It is one of my favorite things to go outside in the snow and see the beauty of the hibernating world. Christmas time is also coming along with the New Year, and everybody is going around buying presents, trees, and god knows what. I occasionally wonder if the animals have a kind of Christmas. In their little special places they call home in a hole 6 feet under or in a tree high in the sky. Whatever the case I think it would be interesting. In Christmas I am usually at home, rephrase I am always at home and that’s giving me time to think what my Christmas is about. For me Christmas is not about getting presents and games, it is about home. What does home mean to you; to me it is about being with friends and family. A place that you love and care for and have family that loves you. To me Christmas is time to be with your beloved home. Occasionally I like to picture myself on a winter balcony and that is perfect for where I’m going. At school I often feel like the “bad kid” a kid that everybody hates. I feel so bad about it, I mean if it weren't for my friend Adam I wouldn't know all the gossip about me. He told me a kid said they wanted to strangle me. He also said that they think I’m, well weird. I also see it in my own eyes, the way they talk and act around me, it hurts me. I picture myself on the balcony in the snow, either smiling to have escaped it, or bursting into tears in desert. Winter has lots of mixed emotions like I said. Happy of Christmas sad for a new year of hardship. But time must go on, you cannot get left behind. All the animals’ steal into the nests waiting for the New Year. Winter worm’s our hearts and has us reflecting on our past and we let time carry us through the future. In preparation for our Earth Day Community Circle, every grade made a set of Earth Gratitude Flags celebrating a part of our Earth. During our circle, we raised these flags and spoke our poem. Kindergarten - Human Community Thank you Earth for the plants to eat, Thank you plants for the air we breathe, Thank you Earth for sun that gives us heat, Thank you Earth for the water we drink! Humans They should be nice. Taking care of the world, not leaving trash. Because the earth gives us lots of good things. They should be nice and happy. Not killing wild animals. Because the caterpillar might turn into a butterfly. And those collect pollen and flowers make us fruit. The should be peaceful. And not hurt the earth's feelings. They should have fun in the world. Beetles have 6 legs and are different colors. There are over 4,000 different kinds of ladybugs. It takes them 6 weeks to grow from egg to adult. Ladybugs are also called ladybird beetles. They go from egg to larva to pupa to adult. Birds Gardeners of the Earth Soaring, swooping, perching Messengers of the Earth Petite, massive Camouflage, colorful Singers of the Earth Birds 5th Grade - The Sun I woke up to your sunlight. Your rays shining on my face. You're there in the day but not in the night. You're always in every place. Your eyes are so bright. You're always keeping me warm. You are like a soaring kite. You have been there since I was born. Thank you sun for all you do. The sun it has a yellow glow We need it for the plants to grow The Earth’s sun keeps us warm With its light our bees will swarm All energy comes from the sun The warmth goes out to everyone The sun is what keeps everything alive The energy flows to help living things thrive Without the sun… no weather, no food We greet the sun with gratitude! 7th Grade - Food & Farmers Farming for food Can be hard to do. But have a good mood 'Cause it's worth it, it's true! When it's locally grown, It's healthy to eat. This should be known. Tell everyone you meet! Nature is most beautiful in the spring, the way the petals bloom with life. The soft sound of the light rain dancing against the roof. Yet, I have heard it all before, this spring I won’t to say something that will matter more in the future. We humans often talk of the beauty of nature and at the same time we are watching it disappear. Most people ride in cars, use styrofoam, or waste energy. It’s our responsibility to take care of nature. I feel like we should embrace nature, that would make everyone notice the pollution that we create. Everyone could try reducing the amount of energy we use, or try riding bikes. Styrofoam we can replace with recycled fibers. There is a solution to all of are problems, yet we must act now. As I sit at my sit spot, I can still feel the chilling wind of winter, but spring is certainly coming. This is my favorite time of year. Dead leaves still litter the forest floor, but I can hear the song of the returning birds and smell the faint scent of blooming wild flowers. I can see the shimmering green leaves reviving the trees from their deep hibernation. This time of year brings hope for the times ahead. Hope, what a powerful word. Hope that the sun will continue to rise every morning. Hope that the trees will continue to produce air. Hope that someday soon mankind will realize that we depend on nature to survive. Both mankind and nature are ever changing but through our changes our connection holds strong. We must embrace the fact that we will always be connected to nature; no matter how much we try to hide it. Nature is our teacher. That is what we learn here at Evergreen Community Charter School. We learn to respect nature and to embrace the connection between it and mankind. I wish that everyone was taught that, but it is obvious that many people do understand that for mankind to survive nature must survive. According to Understory.ran.org, around 60,000 kilometers per year of forest are destroyed. That is about the size of Ireland. People do this for wood fuel, paper products, and lumber. Mountaintop removal is also a huge environmental issue. In order to mine coal, our main power resource, we have to blow the tops off of mountains (mountainjusticesummer.org). Other environmental issues include climate change and global warming, consumption of resources, and extinction of animals and plants. What do these all have in common? They all are caused by humans. We need to do something to help fix these environmental issues. We need to better understand our connection with nature. All of these thoughts run through my head, as I sit contemplating the feeling of hope in the air. This hope is strong; it will never fade as long as there is someone there to encourage it and to feed it. Someone to feed the fire of hope. You could be that person. You can make a difference. Will you choose to feed the fire of hope or leave it to die. Olson, Brant . "How many trees are cut down each year?." The Understory all the dirt that’s fit to post. Rainforest action network , 22 Apr. 2008. Web. 12 Mar. 2014. <http://understory.ran.org/2008/04/22/how-many-trees-are-cut-down-every-year/>. People all around the world are cutting down the trees to stay alive, but are they really helping people stay alive or are they killing them? Think about the world as one big person and the trees are the lungs. Trees fill the world with oxygen that we need them to survive. A way to not kill the human population while keeping it alive is to plant a tree for every one that you cut down. If we don't preserve our nature then one day in the future we won't have nature, and that means that we won't be here either. So think about it. Nature? Or no nature? It all depends on you and everyone else that lives on earth. The air is cool. This week it is in the mid 40s, and last week it was warm in the mid 60-70s. The air smells fresh, unlike the air inside of the building. All the leaves are starting to come back, and all the snow has finally melted. The pine needles all lay on the ground waiting to decompose, while the new leaves grow on the trees ready to start a new life. I feel like I could just be carried away by the wind and into a whole new life. You can feel the animals coming back into play, but it’s still so cold outside. Every year before spring the weather gets warm for a few days and then back to a cold spell. The birds start chirping more once it gets to be March and there are the few flowers that start to come up, but I wish they would grow faster. Spring to me is promising, promising that summer will come and promising that it will finally get warmer. Right now the evergreen trees are the only ones with their needles but you can tell nature is trying to revive itself. The birds chirping promise you that spring is coming. It’s as if nature wants to grow back up but it has to wait for the weather. Spring is my favorite season; the temperature is always perfect, not too hot and not too cold and it’s great to go outside. After winter, I'm sick of the cold restricting weather. It’s incredible to feel the sun.